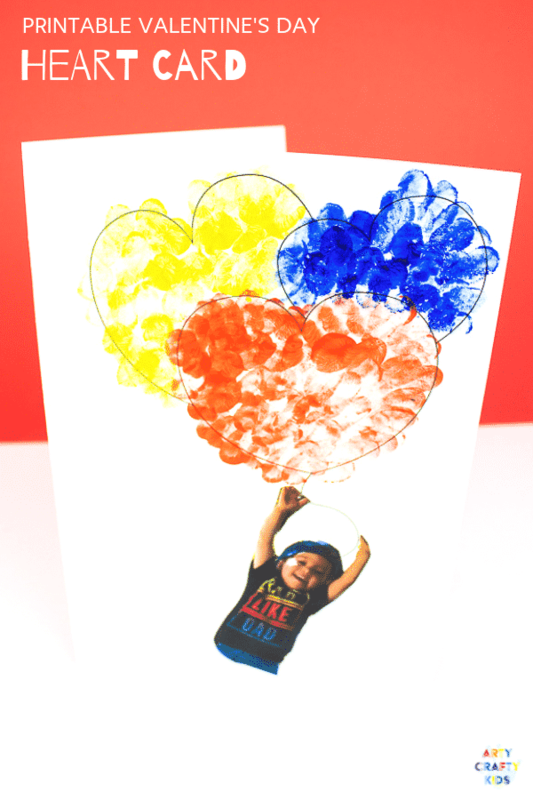 Our Printable Valentine’s Heart Card, inspired by Banksy’s Girl with a Balloon, can be personalised with your child’s fingerprints and photo to create a gorgeous keepsake card for Valentine’s Day or Mother’s Day. 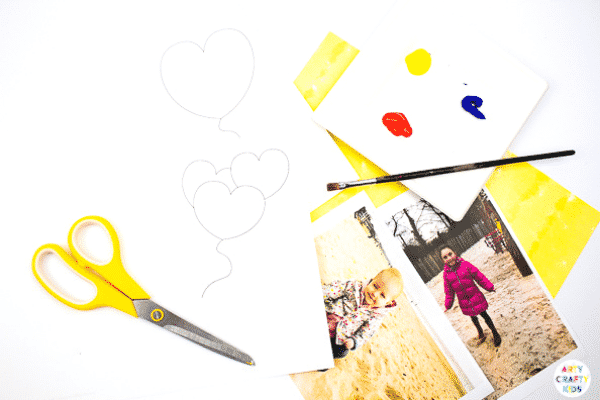 This DIY Valentine’s Day Card is perfect for parents and educators who are looking for a simple but cute craft to do with the kids. 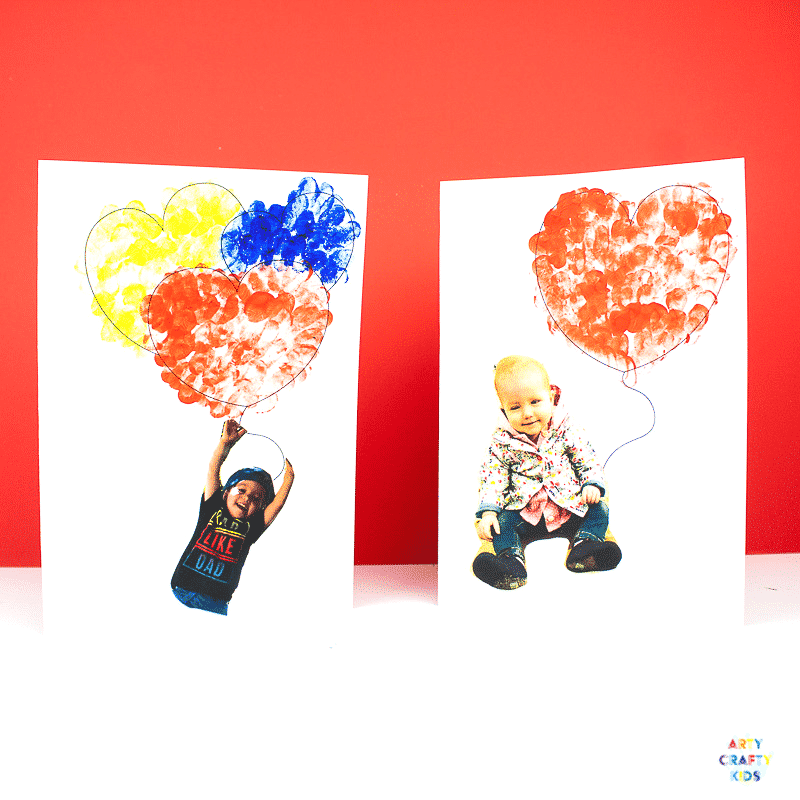 We have two Heart Balloon designs available exclusively to Arty Crafty Kids club members. 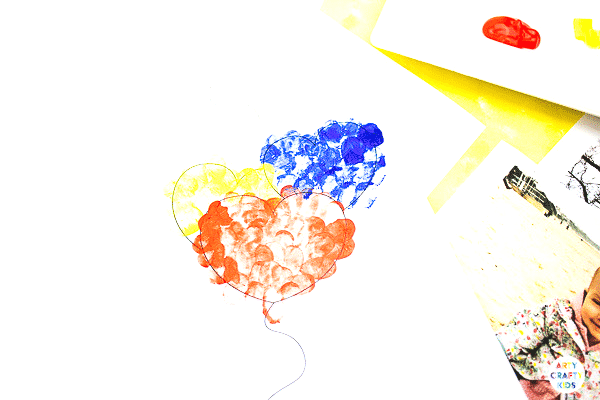 Download and print the heart balloon templates onto white cardstock. 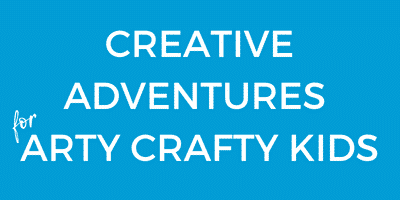 The Templates are available to Arty Crafty Kids club members. Join the club to download! 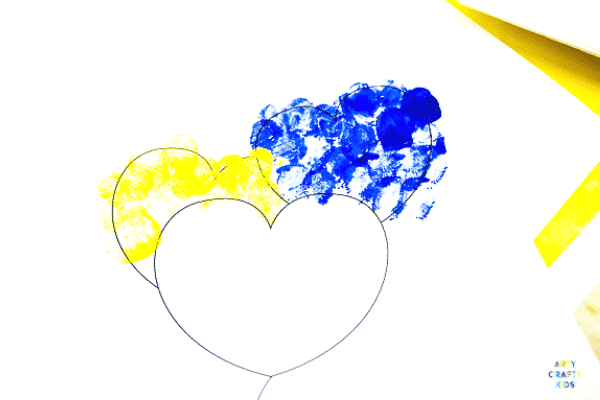 There are two approaches to finger painting; either paint the tips of the fingers with a paintbrush or dip the fingers directly into paint. For clear and defined prints I prefer lightly painting the fingertip with a paintbrush. 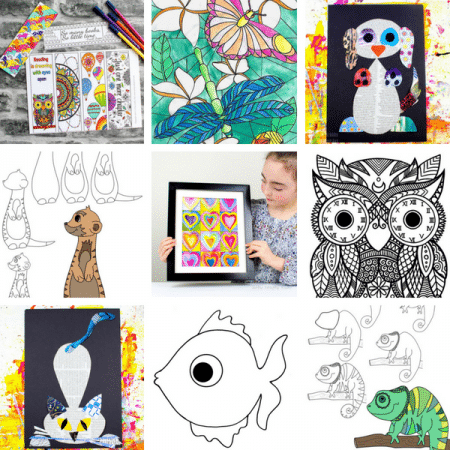 However, for very young children this can be too fiddly and one step too many for children who just want to paint. In this instance, I would recommend having a scrap piece of paper available for the first print. This will remove the excess paint and avoid stodgy prints! 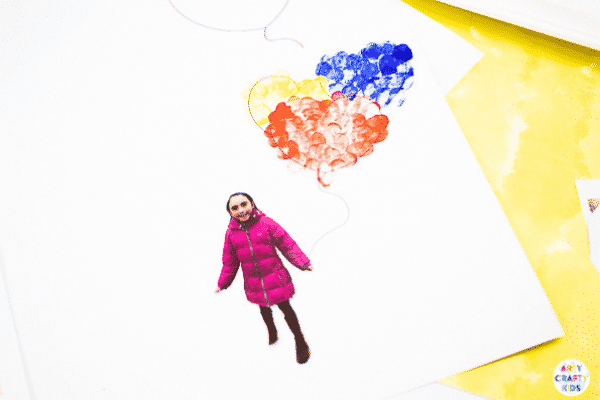 With the paint applied using your Arty Crafty Kids preferred method, fill the balloons with prints! Continue printing until the balloons are full. Cut out your selected image and stick near the string of the balloon. For best results, try to select a picture where your child’s arm is free. This will create the impression of the child holding the balloon. As you can see from the images, we’ve used 3 different poses (baby sitting, child standing and one dangling from a tree) and they all work well. 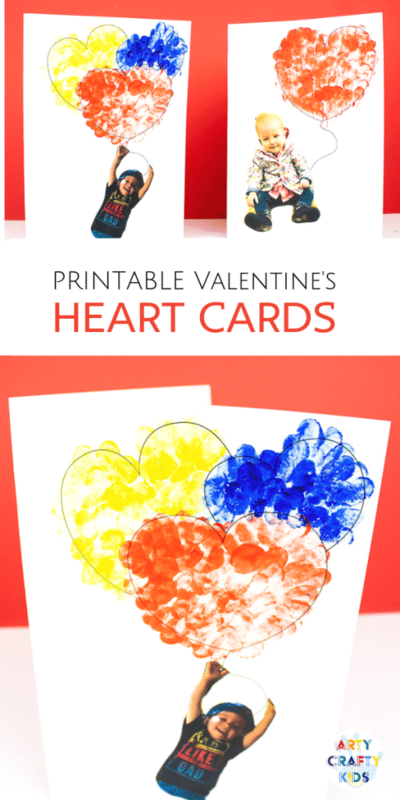 I hope you enjoy creating this Printable Valentine’s Heart card with your Kids!